Terry Robertson, 44, of Cunningham Terrace, Aberdeen, admitted possessing heroin in his car as he drove through Dundee. A Dundee woman accused of murdering a mum engaged in a fist fight over a £10 debt days before the alleged killing, a jury has heard. Two men are to stand trial accused of supplying "psychoactive substances" that they "knew would cause danger to health and life" to customers - some as young as 13 - at their vaping shops. Students were left in tears at a ball last night after a man who abused his girlfriend – who later committed suicide – joined the party. Police Scotland's failure to properly respond to more than 200 calls for help is not connected to the force's decision to axe some of its call centres, a senior officer has said. 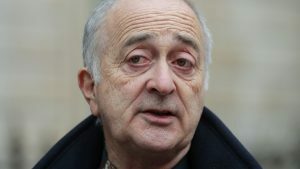 Sir Tony Robinson has helped rewrite the traditional nativity story to give it a modern twist. Police urging people not to donate to a fundraising website set up in the name of a family of a young woman who died last week. Police believe a a teenager who went missing from Stirlingshire could be in Fife. Dundee are set to benefit from Celtic's Champions League exploits to the tune of six-figures. Dundee youngster Lewis Spence has been in sparkling form since breaking into the first-team picture against Rangers at the start of September. A gambling addict has admitted stealing thousands of pounds worth of scratch cards from thesupermarket where he worked. Little Mix have hit back at a fan who criticised their singing at a Scottish gig. Dundee's property market is enjoying its most successful period for a decade, an industry expert has claimed. Missing 66-year-old man could be in Tayside. Have you seen him? Police believe a missing 66-year-old man could be in Tayside. Christina Parker finds it easy to describe the magic which sparked her love for the handsome and very individual Sean Parker. A date for the 2018 Dundee Kiltwalk has been revealed. Former Dundee United ace Gary Mackay-Steven has broken his silence on the River Kelvin incident that left him with hypothermia. A councillor has complained that Aberdeen is a "forgotten city" after Dundee was chosen ahead of his home town for a massive jobs boost.